“To lose itself in a fog” …. Shakespeare, Coriolanus | Vermont Paddle Pups! 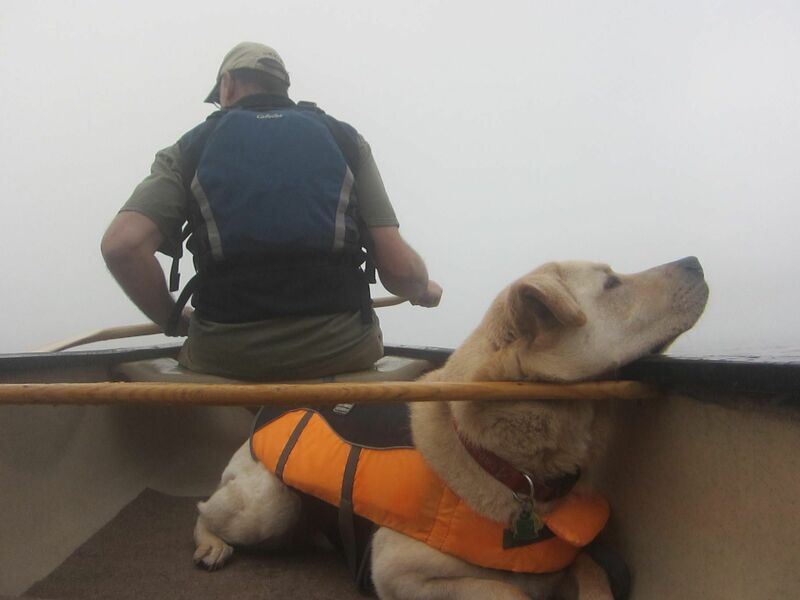 Yep, we got a bit lost in the fog today….headed out at 0715, on a very familiar body of water. Fog was pretty dense, with visibility less that 1/10 of a mile. We followed the shoreline, ( or what we could see of it), recognizing familiar landmarks to get our bearings. The only sound we heard was off in the distance…the muted roar of a lawn tractor, mowing the rolling hills of the day use state park. A few birds sounded the alarm, but we never saw them. 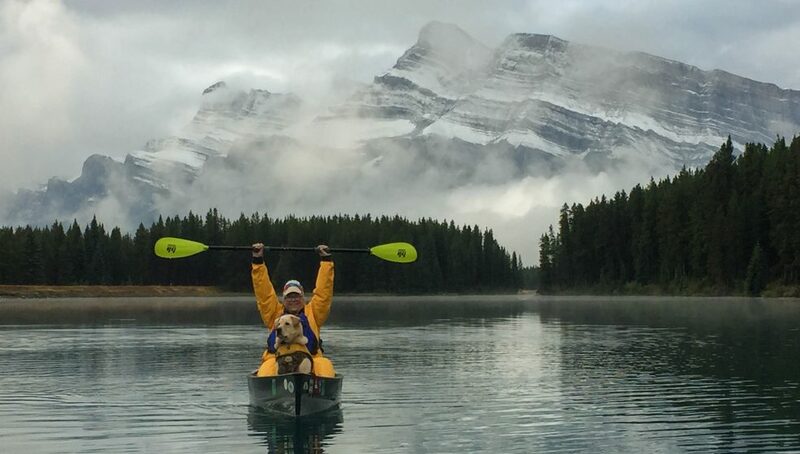 The dogs were well behaved, and relaxed during the peaceful paddle. Thankfully, we encountered no power boats, and given the conditions, we stayed away from their usual areas. We made a sweeping turn, heading for the opposite shoreline ( or so we thought). Somehow, we misjudged the peninsulas and outcroppings, and did not make a sufficient turn. So, in essence, we ended up making a large circle….it was actually quite funny, though neither of us was ever aware of our clockwise pattern….yes, we were disoriented and lost in the fog. Lessons learned! As we pulled up to shore , a pair of loons appeared right off the take-out area…they separated, then rejoined in a moment that had us saying ” awwwww” in unplanned unison. A Good day on the water…..
← The Bailer Saves the Day …. Leading to a Wonderful overnight Canoe Camping Trip….